Osteoporosis New Zealand marks World Osteoporosis Day on 20th October 2017. Our friends at Osteoporosis New Zealand (ONZ) are supporting the International Osteoporosis Foundation’s (IOF) World Osteoporosis Day (WOD) Awareness Campaign. 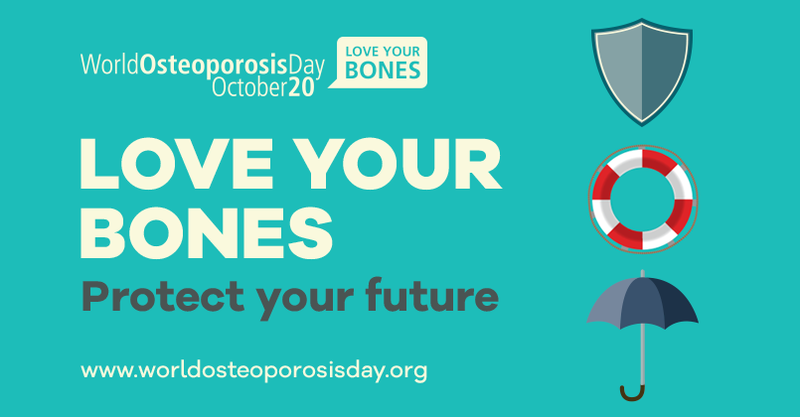 Under its theme of Love Your Bones: Protect Your Future, WOD 2017 calls upon the general public to take early action to protect their bone and muscle health, and for health authorities and physicians to protect their communities’ bone health. NZAMM members can play a vital role in reducing the burden that osteoporosis, falls and fractures imposes upon our older people, their friends and family, and our health and social care budgets. Accordingly, we encourage youall to read more about this exciting Campaign at http://www.osteoporosis.org.nz and implement its recommendations in your practise.